The description is a little deceiving. The material is listed as metal which is only partly true. 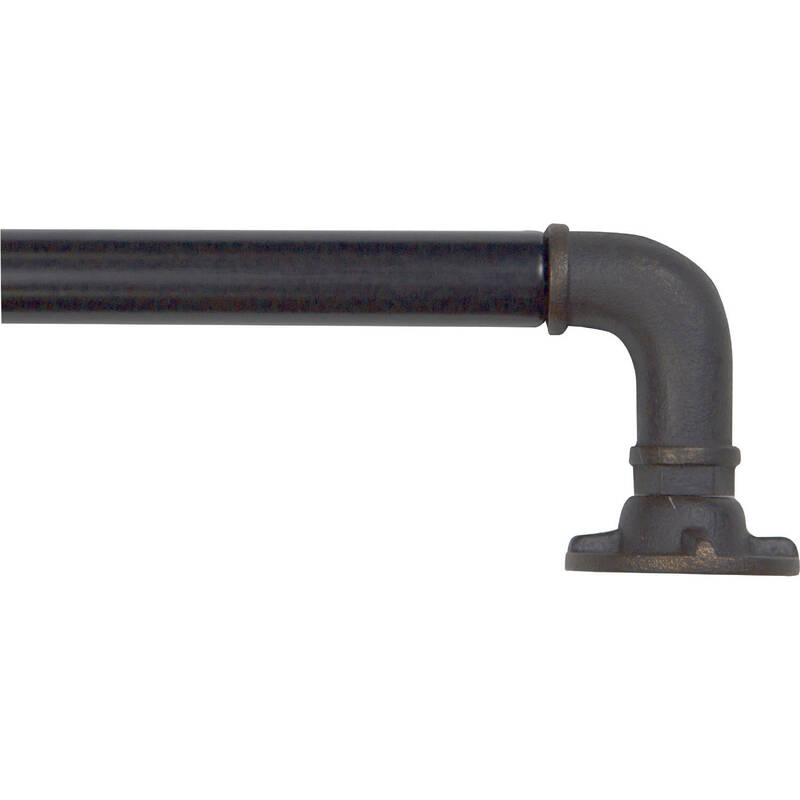 The adjustable rod is metal like any other curtain rod but the curved pipe part on the end is actually a very well done, heavy resin of some sort. They do look \"real inch hung but, even though the price was too good to be true, I was a little disappointed that the product description was not completely accurate (bought in bronze, btw). Having said all of that, for the price point, they do look really nice installed and I am happy with the purchase. Home territory searches the web to find the best prices and availability on Window Hardware and related products foir your home like Bali 1" Industrial Curtain Rod Set, 36-66" or 66"-120\. For this page, related items include products we find that match the following keywords: "Window Hardware" at our vendor partner Walmart - Click More Info / Buy Now to check for price rollbacks!. Bali 1" Industrial Curtain Rod Set, 36-66" or 66"-120\ is one of 144 Window Hardware and related products available for sale through HomeTerritory.com, If you have any questions on this product, please give us a call at 734-971-1210 during the hours of 9am - 5pm EST for assistance. Thank you for shopping at Home Territory, the home furnishings superstore!